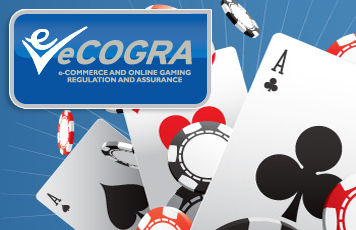 10 Feb 2005: Player protection and online casino regulator eCOGRA has teamed with the Global Gambling Guidance Group (G4) to provide more cohesive and formal precautions against underage and problem gambling. “The top online casinos regulated by eCOGRA have all made in-house responsible gambling provision as part of their operational structures, and we will beef up this vital function through a partnership with the respected and professional G4 organisation,” says Andrew Beveridge, CEO of eCOGRA. eCOGRA will work with G4 to create a set of policies and procedures that will set the global benchmark for responsible gaming. eCOGRA Seal casino and poker operators will be required to implement these detailed policies as part of the Generally Accepted Practices (eGAP), and compliance will be reviewed on an ongoing basis by independent auditors. G4 management have extensive experience with responsible gaming programmes in both the terrestrial and online environments, and provide a worldwide accreditation programme. The G4 e-Gaming Code of Practice has already been successfully implemented at major online site PokerRoom.com, proving to be both practical and effective. Top G4 executive, Pieter Remmers says that partnering with eCOGRA dramatically extends the beneficial reach of his organisation`s code. “These 51 first rate Seal casinos represent a very significant share of the online casino gambling sector, and the real enforcement that is part of the eCOGRA system makes for effective application,” he says.